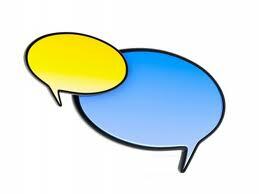 Carole's Chatter Blog Tips: How do you reply to comments on your blog? How do you reply to comments on your blog? Hi! Could you (or did you?) do a post on how to get those "You might like these other links" below your blog post? I see them on other peoples blogs all the time but have no idea how to do this! I also have a radio show that I think you will love, our topics are all about being a parent, so check out the blog and listen to the archieves shows!! I kind of jump all over with commenting back to someone who comments on my blog. I try to make sure to visit their blog. If the comment goes to my email and I can respond that way I do so, but I will still also drop by their blog. I know I like it when someone visits mine. By the way, I'm dropping by from the weekend hop from Our Everyday Harvest. I'm having a FACEBOOK social hop. I'd love for you to hop on over, grab a button and link up your facebook. This is a great post. I'm pinning it. I answer people by email if I can, because it is a little faster. Sometimes I post comments in my blog itself and every once in a while if they have a question and I can't reach them except for through their blog, I will go there to answer. It is getting more difficult for me at the blog grows. I am getting approximately 20,000 pageviews a month with about 200 comments per week with over 200 people linking with my party. It is a little overwhelming at times. Came from Mom's Mingle, following on GFC. Would love to have you follow me back. I reply to comments on my own blog. I only have a few commenters a week, so it's not a big deal. I'm not sure why my audience is so quiet. The numbers tell me that they're there, so I guess they're shy. I've also begun to delete comments that simply say "stopping by from the hop". Don't get me wrong, I'm happy you're stopping by, but that doesn't tell me if you enjoyed what you read or if you're just doing what you have to because you're supposed to comment on 3 blogs or something. Say you're stopping by from the hop. Then tell me what you thought about what you just read. I think it's common courtesy. Hi there! I just found you via- Bloggy Moms December 2012 Blog Hop! I do tend to reply to each message on my blog though I agree they the visitor may never actually see the reply. So, your approach is a good one. I'm your newest follower, so, stop by my blog and take a look around, and follow if you wish! I agree but I do feel those replies are great for the new readers because I love to see that the blogger answered the question. Great tips. I am also happy to be your newest follower. Thanks for coming by my blog. Have a happy holiday. Dealing with those blurry Captcha's! You need a search box on your blog!